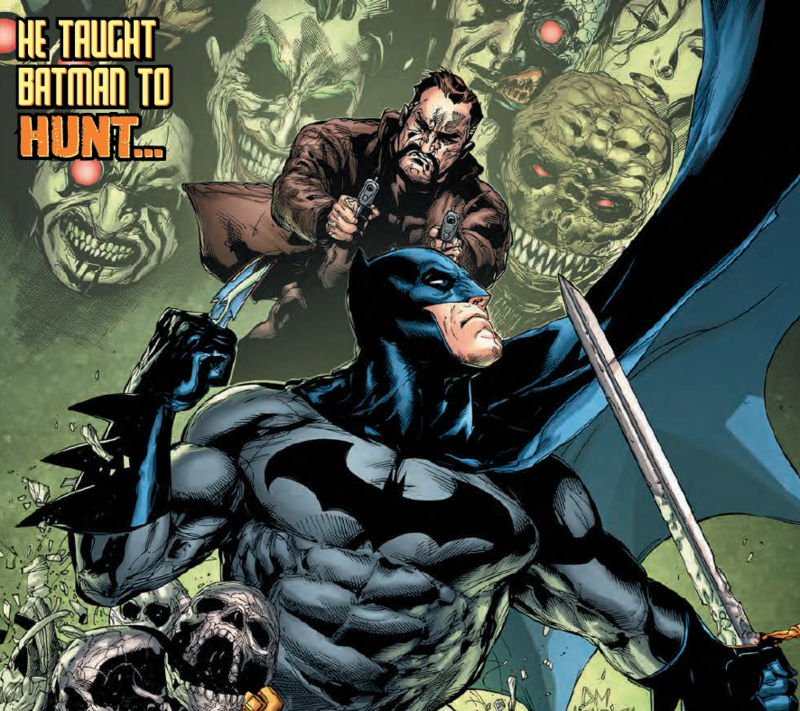 Detective Comics #996 Review – AiPT! People who love Bruce Wayne are dropping like flies. Someone knows Batman is Bruce Wayne and he has no idea who is pulling the strings. In the first two issues of this latest arc, Batman is struggling to figure out who could be messing with him, creating an effective mystery to solve. In this third issue, Batman must go to his roots and track who is left alive that knows his secret identity. In the catacombs under Paris, Henri Ducard is not going to sit and wait for the death that’s coming for everyone who helped to train Batman…he’s going to wrestle it to the ground and put a bullet between its eyes! Good plan–but what if it just gets right back up? Can even Batman save him then? Peter J. Tomasi is writing a strong series that integrates detective work with action. Doug Mahnke has been drawing a good series too with detailed art and wicked monsters. Wait, monsters? They got a beat down. If you dug the Batman: The Animated Series you’re going to love the globe-hopping Bruce Wayne in disguise element that permeates this issue. Batman must leave Gotham to figure out if those who trained him are out to kill him. Tomasi’s story here feels like it’s doing a lot of cleanups to prepare us all for the historic 1,000th issue which makes the overall narrative feel loose and exciting. Anything can happen. A lot happens in this book too. It opens wrapping up the last issue’s cliffhanger with Batman beating up the Arkham Asylum inmates, cuts to Batman globe-trotting, interacting with an old trainer, visiting the temple he trained at, and more. There are also two big action scenes showing off varying types of enemies Batman must fight. The issue also ends with a mind-warping twist that will have longtime DC fans talking. Mahnke’s art does the job. The blue Batman costume is a nice touch, reminding us of his history while he literally interacts with folks who helped make him a superhero. Mahnke’s art is getting a little looser and sketchy here, possibly due to deadlines. The unfinished look makes the book feel less honed with some odd looking shots of Batman with shadows for eyes, a messy looking monster, and odd sketchy details on the skin to give them texture. It’s not that bad, but it certainly looks of less quality than the first issue of the arc. A good issue that mixes Batman’s past into the narrative. Watch as Batman fights humans, monsters, and his past!